Believe it or not, those not-so-lovely feelings that I mentioned on the home page are pretty common feelings to have during a time when people say you are supposed to be having the time of your life. Sure, some parents have babies are just good sleepers from the start and remain so throughout childhood. Oddly though, I have worked with thousands of families over the last 20 years and have never met one of these miracle children. 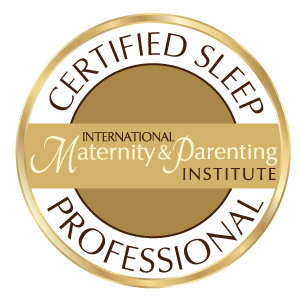 A private 60 minute, one-on-one meeting by telephone or Skype | We will discuss creating the proper sleep environment, sleep needs and schedules, how to establish a healthy sleep habits and daily routines for your newborn, creating the right sleeping environment, strategies to encourage sleep, when to expect a good night sleep, and common sleep issues that can be easily avoided. A detailed sleep plan | If you are expecting, the techniques in your sleep plan will teach you how to create an independent sleeper. If your baby has already arrived, your sleep plan will be fully customized for your family. Two follow-up phone calls | These phone calls, typically lasting 15 minutes, can be scheduled during the first 12 weeks after our consultation. We will take the time to address any issues, general questions, or concerns that you may have. 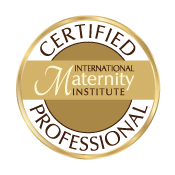 Two follow-up e-mails | You can e-mail me within 12 weeks of our consultation, or the birth of your baby, with any questions or concerns that you may have. Preliminary evaluation | This is a comprehensive questionnaire that will be completed and returned to me prior to our meeting, so that I can begin to formulate a plan for your child. A 90 minute consultation in your home | We will discuss strategies, troubleshoot possible problems, and learn how to address bedtime, nap time, night-waking, or any other specific issues you might be encountering. This package is discounted if you choose to meet by telephone, Facetime, or Skype, rather than in person. A detailed, fully customized and printable sleep plan | After the conclusion of our meeting, this will be prepared and emailed to you. Sleep guide | Includes detailed information on how to deal with illness, travel, daylight savings and nap transitions. Two follow-up telephone calls | two phone calls, typically lasting 15 minutes, can be scheduled anytime during the first week of follow-up support. We will use this time to deal with any setbacks you might be having or answer any general questions. Daily e-mail support | To be used throughout the 2 weeks of follow-up support as questions arise. A 90 minute consultation in your home | We will discuss strategies, troubleshoot possible problems, and learn how to address bedtime, nap time, night waking, or any other specific issues you might be encountering. This package is discounted to 345.00 if you choose to meet by telephone or Skype rather than in person. Support Packages: These packages are intended to act as support for all families who may be familiar with well-known sleep coaching methods (therefore do not wish for a full plan) but who would like a little extra guidance and one on one help, which is unavailable by simply reading a book. A 60 minute telephone call (may be broken up into two x 30 minute calls or 4 x 15 minute calls) where we will address any ongoing concerns you may have, troubleshoot and problem solve to get to the bottom of things. A follow-up email session outlining new tactics and ideas to employ and answering any lingering questions. Two weeks of daily email support (during business hours) where we will address any ongoing concerns you may have, troubleshoot, and problem solve to get to the bottom of things. One week of daily email support (during business hours) where we will address any ongoing concerns you may have, troubleshoot, and problem solve to get to the bottom of things. Two 15 minute phone calls over the course of 1 to 2 weeks to address any new or lingering issues. Although I have tried to include as many support options as possible in the above outlined packages, if you do not see anything that quite suits your needs, please feel free to contact me and we can certainly discuss customizing a support package for your family. If you are looking for a seminar, group speaking event or hiring me to speak, please contact my office directly.